Yoni is a super mild blend of sweet almond oil and shea butter, saponified and diluted with a complex mix of hand grown organic herbal hydrosols and teas designed to balance and cleanse. This is a pure liquid soap with no detergents so it will not strip the natural balance of your yoni. ➡ Each bottle is 200g (about 7.5 ounces) by weight, not volume. The wash is all-natural as described, but it does not leave me with the fresh and clean feeling that I expected. 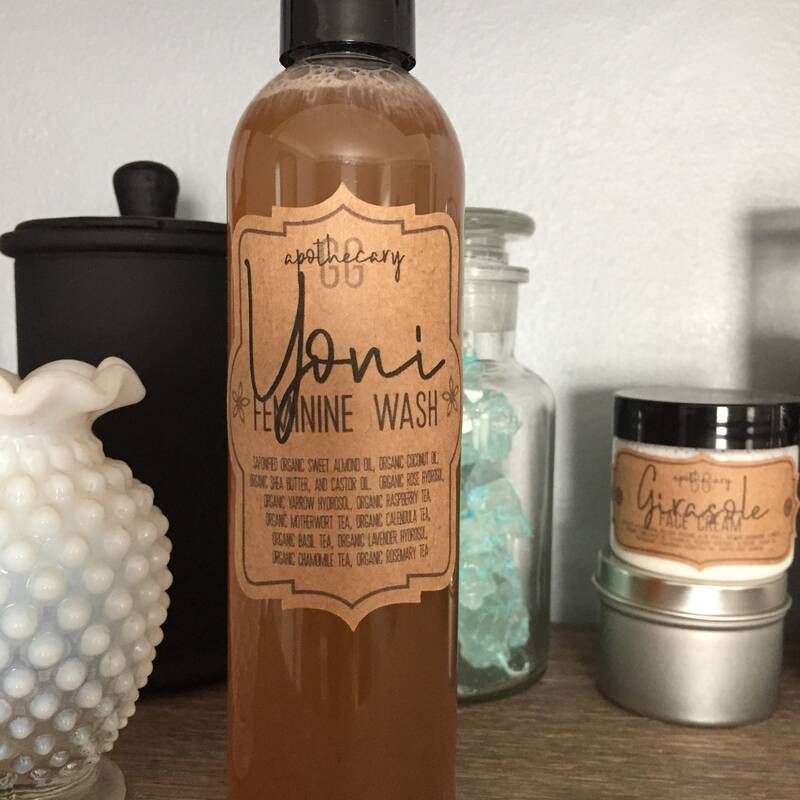 I’ll stick with my other all-natural wash.
Because Yoni contains no chemical surfactants or detergents, it may be different then the other products you have tried. I am glad you have something that works for you, though! Very nice, mild liquid wash! Arrived safely packed and when expected! Thank you.